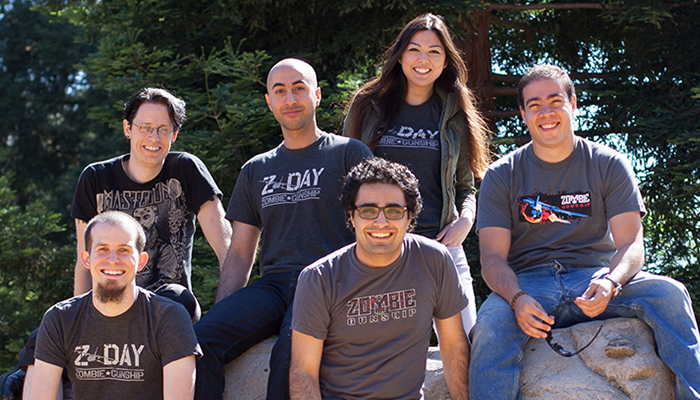 Last week, the UC San Diego computer science alumni behind Limbic Software announced a new game at the Google I/O Conference called Zombie Gunship Reality. Below is the boiler plate for Limbic. Limbic Software, Inc. (www.limbic.com) is an independent entertainment company and Google Play Top Developer founded in 2008 by Arash Keshmirian, Iman Mostafavi, and Volker Schönefeld. Limbic's award-winning debut title, TowerMadness, launched in 2009. Their subsequent hit mobile games Nuts! 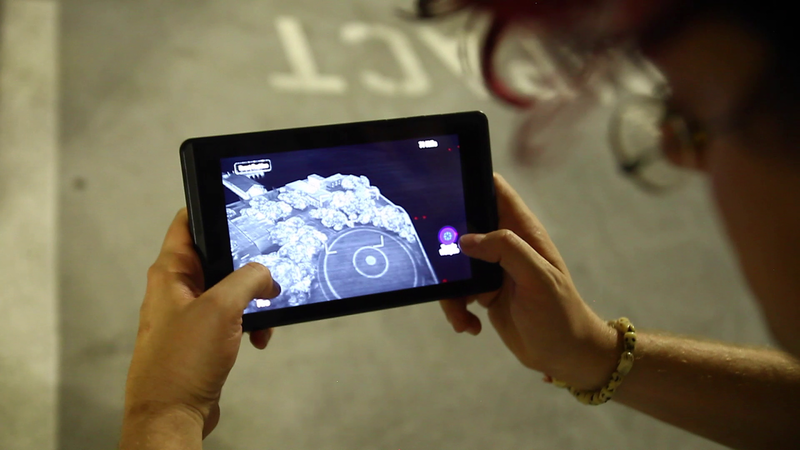 and Zombie Gunship have helped them amass over thirty million downloads across their portfolio of original games. Craftsmanship and a commitment to creating the best gaming experience have won them legions of dedicated fans across the world. (In March of this year, Keshmirian ('05, M.S. '08) spoke at a UC San Diego alumni gathering in Silicon Valley. His talk: “Sheep, Zombies,Squirrels, Aliens and Gunships: Five Years Climbing the App Store.”) Thanks for giving the talk, Arash! An award for bioengineering students at UC San Diego has been created to honor Anouchka Mihaylova. A project scientist in the bioengineering department, Mihaylova died on May 17 after being struck by a hit-and-run driver while walking with her husband in Rancho Bernardo. 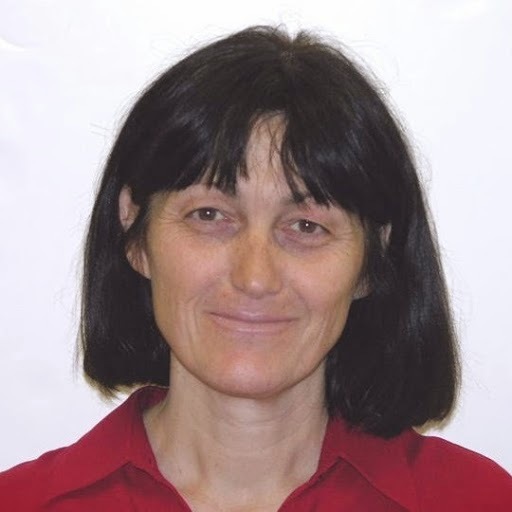 Mihaylova joined the bioengineering department in the Jacobs School of Engineering in 2000. She worked as a research scientist in the Cardiac Mechanics Laboratory led by UC San Diego professors of bioengineering and medicine McCulloch and Jeff Omens. Mihaylova’s friends, colleagues and family are raising money in the hopes of endowing her award, which would then be given each spring at the department’s Bioengineering Day event. The award will recognize students for their undergraduate and graduate research and encourage them to continue Mihaylov’s work on medical research. A San Diego police officer also appeared on the recent KUSI TV segment alongside professor McCulloch. The officer asked anyone who may have information about the hit and run on May 17 in Rancho Bernardo to contact the San Diego Police Traffic Division. He noted that information can be provided anonymously. 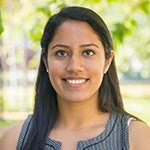 Damini Tandon, a bioengineering major, who plans to attend medical school, won this year's outstanding senior award at the UC San Diego All Campus Graduation Celebration. In this Q&A, she talks about the research she conducted, the professors who mentored her and some of her favorite classes here at the Jacobs School of Engineering. 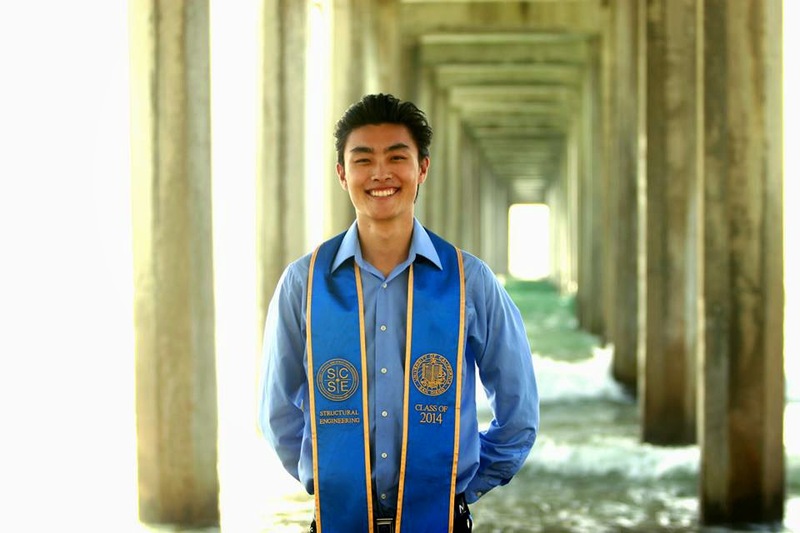 - What made you decide to attend UC San Diego and major in bioengineering? 1a. Upon being accepted to UC San Diego, I was offered the Jacobs Scholarship, a full-ride scholarship for selected engineering school admits. That was a big factor in my decision because the scholarship would (and did) allow me to devote my time to my academics and extracurriculars. This scholarship would (and did) give me the freedom to explore my interests and develop new passions without worrying about how I would pay for my education. 1b. Another reason that I chose UC San Diego was because I was intent on studying bioengineering, and UC San Diego has faculty that are pioneers in the field, has a well rounded curriculum, and is the center of some of the most groundbreaking bioengineering research in the nation. 2. My decision to major in bioengineering was the natural choice given that I had interest in biology/medicine and a strong aptitude in mathematics, biology, physics and chemistry. Also, I realized that a) bioengineers learn how to think critically and become excellent problem solvers and b) are working on the cutting edge therapies and devices that expand the potential of medicine. This sealed the deal. - How do you feel the Jacobs School has helped you be prepared for medical school and becoming a surgeon? As I mentioned above, bioengineering has really helped me to become an excellent problem solver. My learning theory was always to master basic concepts and apply them to problems, and the curriculum at UC San Diego was very much in line with that--this meant that I was able to get ample practice and that too with extremely interesting bioengineering problems. The ability to problem solve and think critically is crucial in the field of medicine and surgery, so the development of this skill has surely helped me to prepare for my future career. As a bioengineer, I also have a unique perspective because of the nature of the problems we solve. In one class, 186A Introduction to Biomaterials, we learned about different biomaterials, the types of responses they elicit when contacting the body, and how they can be applied to solve different bioengineering problems. At the end of this course, we were asked to design a biomaterial application and that task really helped me to apply what I had learned in the class to help address a need that we found emergent/interesting. My group worked to develop a nanoparticle treatment of glioblastoma multiforme (GBM), in which we used supraparamagnetic iron nano particles encapsulating a chemotherapy drug, functionalized with GBM targeting ligands, and encapsulated in a degrading injectable gel to treat the malignant brain cancer. The experience of understanding the disease in that depth and developing a therapy for it has given me a new look into medicine-when I practice medicine, I will be primed to look for and address needs with creative solutions. This means that in the position of physician, I can work to collaborate with bioengineering to more effectively bring in new therapies to the bedside/operating room. I feel that the environment of the Jacobs School is one of collaboration and not competition and I think that has primed me to succeed in a career in medicine (and my peers to succeed in their field of choice). The key to success is surrounding yourself with individuals who are motivated and brilliant and working with them to learn from what they do better (improve yourself) and teach them what you do better (help them improve). In medical school, that will mean working with other intelligent students to develop as much understanding of the body (healthy and diseased). In residency, that will mean working with other physicians to improve both their and your own practice. When you are working toward the common goal of improving patient health, the point is not to compete to see who does it better but instead to collaborate and help achieve a combined greater good. - What were your favorite classes here at UC San Diego? BENG 187 Design Series: We designed a device to prevent entrance of environmental toxins into the lactiferous ducts. BENG 125 Computational Bioengineering: We created a simplified system of equations to model the transmission of HIV/ADIS in a population (based on tweaking/simplifying existing models) and applied our qualitative understanding of differential equations to analyze and understand the behavior of the unique system. BENG 186A Introduction to Biomaterials: As described above, we developed a targeted nanoparticle therapy of glioblastoma multiform by functionalizing the drug containing nanoparticles with GBM specific ligands and encapsulating the particles in an injectable, biodegradable gel. - Are there any faculty members/staff members that you consider your mentors, and if yes, whom? All bioengineering professors that I have interacted with have made themselves available for questions and to clear any doubts about the taught material. All of the professors that I have conducted research with have made sure to connect with me regularly and offer my advice/pointers/direction. Professor Cabrales was the professor for the design sequence. He met with my team regularly to check in on our project progress (a few times per quarters) and made an effort to help us resolve any issues and helped to direct us to resources. Professor Schmid-Schonbein cotaught the Mass Transfer class for bioengineers (BENG 103B) and served as advisor for my design project. He met with us weekly and helped my team to understand the need we were addressing, develop a background knowledge in the field, develop and evaluate our designs, and take the project to the next level as entrepreneurs. He advised us at every step and always made himself available for questions. Dr. Sonia Ramamoorthy is my research mentor at Moores Cancer center. She has allowed me to shadow her in clinic and the OR to help develop a background understanding of colorectal cancer and its treatment. She then fostered my interest in clinical research by helping me to develop various projects, understand and master the IRB process, and work on data analysis. Dr. Adam Engler was my research mentor in my bioengineering lab research. When I was a freshman, Dr. Engler gave me the opportunity to volunteer in his lab and develop mastery of basic lab techniques. He then helped me to develop an independent project, which I was able to pursue with financial support from the CALIT2 program scholarship. He helped to to troubleshoot throughout the process (as did the graduate student who I worked with, Andrew Holle!). - Any engineering student organizations that you feel helped you stay connected to the campus? The Jacobs Scholars Society is the engineering organization that I am a part of, that helps me stay connected to the campus. I, and a few other Jacobs Scholars, helped to conceive the society as a way to provide an organized way for scholars to plan social events that promote the JSS community, professional development events to help prepare the scholars, and service opportunities to allow the fortunate scholars to give back to the community. I served as VP Internal of the organization. - Feel free to add any other thoughts about your engineering experience here at UC San Diego. Overall, I have only good things to say about my time at UCSD and within the Jacobs School. I strongly believe that coming here is the best choice I made! I have been surrounded by motivated, intelligent individuals, eager to help brilliant advisors, and have gotten to experience a thorough curriculum focused on development of essential problem solving skills--this has helped to sculpt me into the person I am and I am sure that all that I have learned will help me in the future. Check out these amazing graduation pictures! We love how creative our students are getting with their senior and graduation shots. Below are just three examples. Got some creative pictures of your own? You can send them to us via Twitter @UCSDJacobs, Facebook https://www.facebook.com/UCSDJacobs or email ipatrin AT ucsd DOT edu. 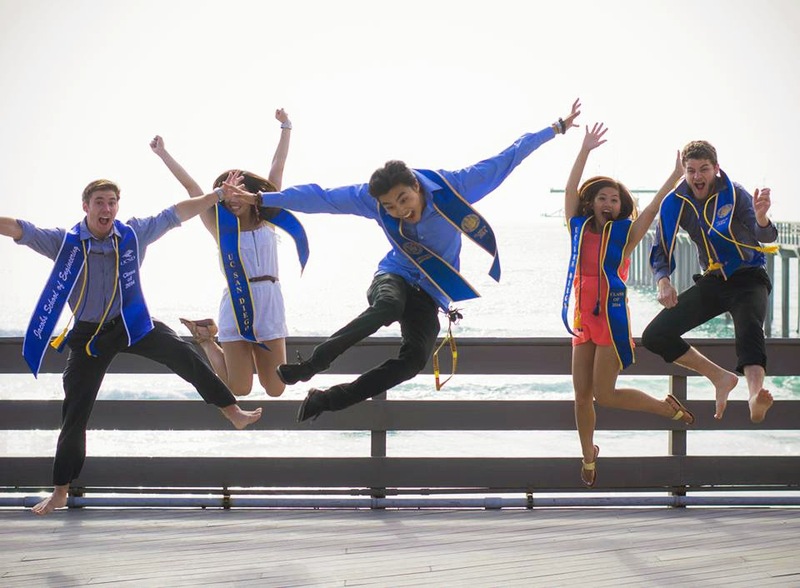 A group of Jacobs School students celebrates their graduation at La Jolla Shores. 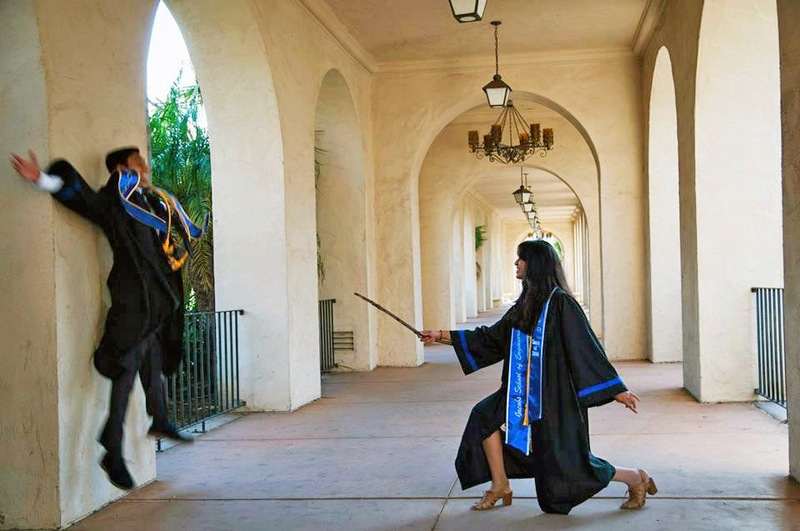 TESC President Pooja Makhijani tries out her wizarding skills on classmate Akshay Maheshwari. Structural engineering major Sam Sun poses at the bottom of the Scripps Pier. Do these graduating nanoengineers look relieved? They just finished two days of final team presentations in Nano 120, a systems design course that all nanoengineering majors take in their final two quarters of the undergraduate program. Class Photo: Students of Nano 120, a senior systems design class for nanoengineering students, with their professors (far left) Andrea Tao and Donald Sirbuly. The senior design lab culminates in students designing a device that solves a real problem in a field of their choice, generally selected from problems faculty researchers are experiencing. For example, one team presented a lab on a chip that could screen drinking water and swimming pools for water-borne pathogens. Although the Jacobs School of Engineering conferred its first undergraduate degrees in nanoengineering in 2013, this is the first crop of students to have spent their entire four years in the nanoengineering program that was created in fall 2010. Zubin Mody said Nano 120 successfully brought together four years of both theoretical and hands-on learning about engineering at the nanoscale and fostered an entrepreneurial spirit in students. "I've grown immensely through this department and all the people here, and the courses, the research opportunities -- all that together has made a cohesive, great educational experience," said Herad Moetazedi. "I'm prepared to keep learning and be productive in the world,"
After stopping for a class photo, the group gave themselves a big round of applause and went on their way. Jacobs School of Engineering undergraduate student Alistair Twombly was demo’ing Sebastion, the UC San Diego human powered submarine last night at the Jacobs School’s Corporate Affiliates Program board meeting. This project is part of the UC San Diego chapter of ASME. The plan is to get the propulsion system designed, built and installed in a human-powered submarine in time for the international submarine races competition in June 2015. 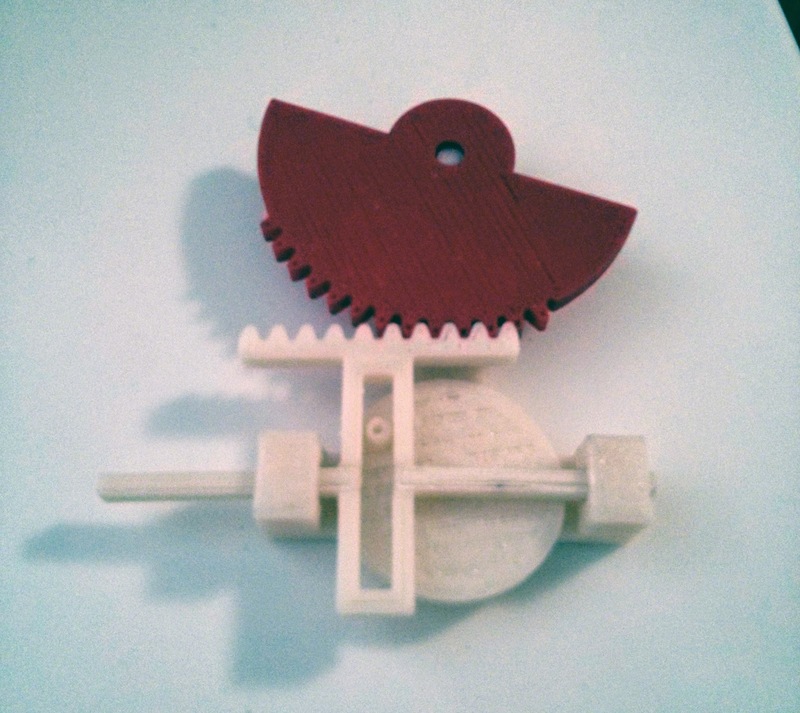 He printed his dolphin-tail propulsion prototype using his RepRap 3D printer which he assembled himself. 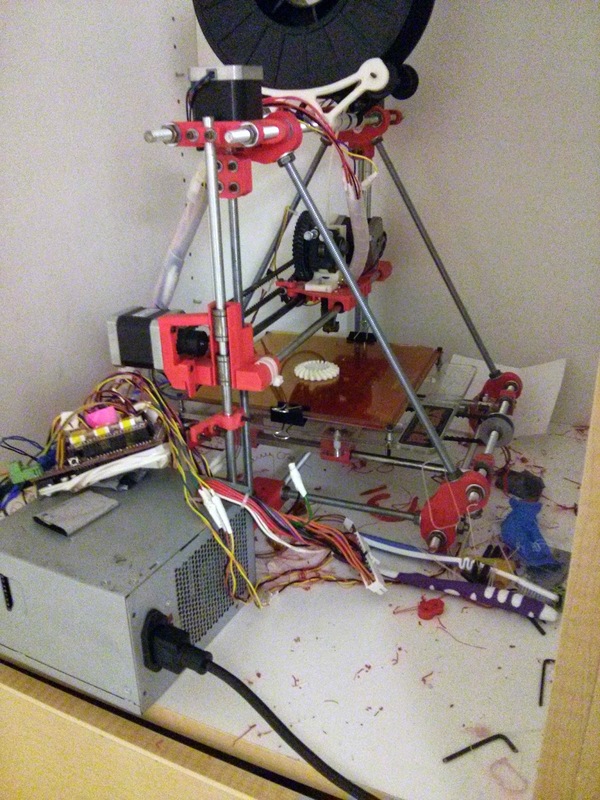 If you haven’t heard of RepRap, it’s pretty cool…the idea is that it’s a self-replicating manufacturing machine. open source and hosted at reprap.org which in general works as a hub for the whole reprap community,” Twombly wrote in an email. 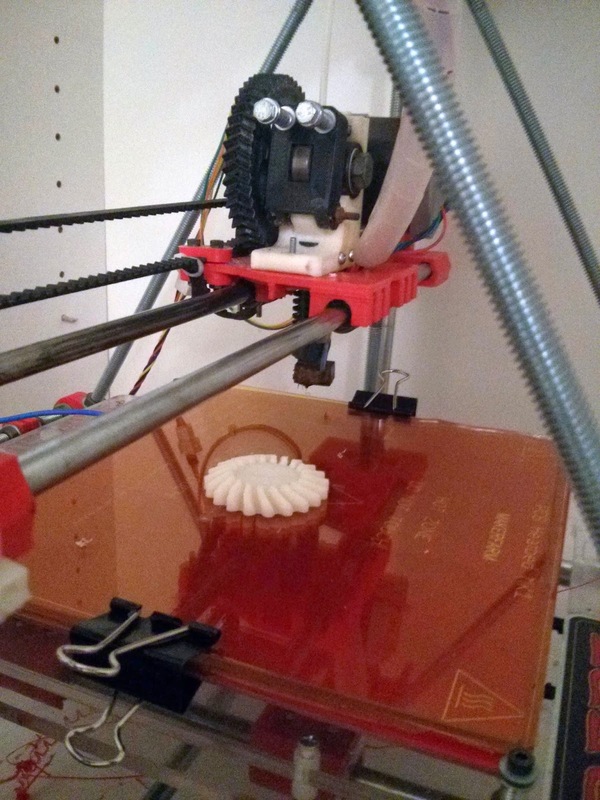 “I can't say it’s the prettiest printer out there, but it works,” he wrote. 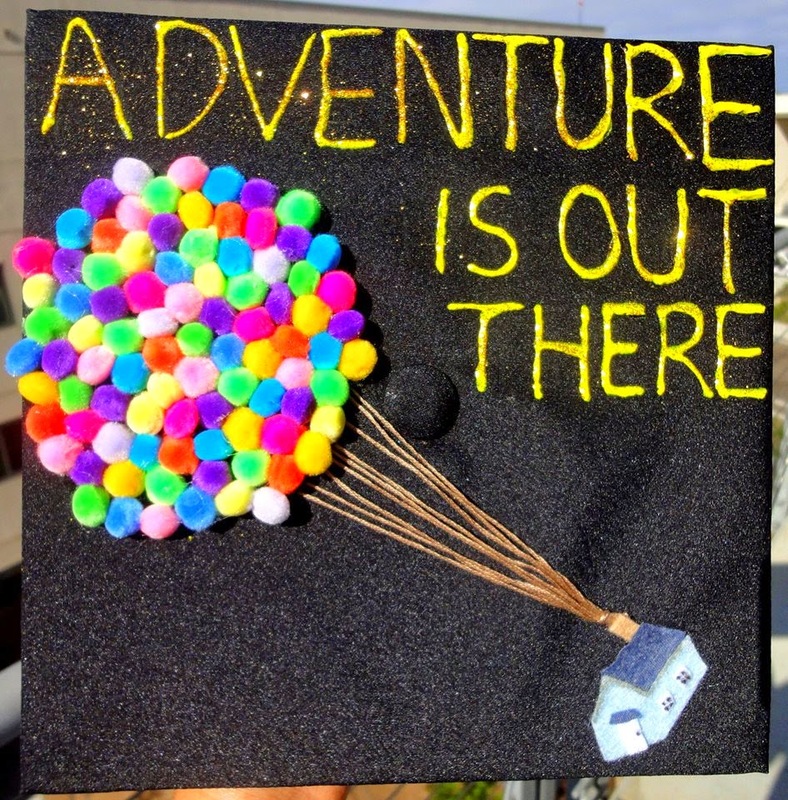 We love this graduation cap art crafted by TESC President Pooja Makhijani out of felt, pompoms and puffy paint! It brings together the Fallen Star, a sculpture set on the 7th floor of EBU I (Jacobs Hall), with the Pixar movie "Up." The Fallen Star, a small cottage perched at an angle on the top of the building, is meant to convey the feeling of disorientation that students experience when they first arrive to a new campus. In "Up," a retired widower ties up thousands of balloons to his home, also a small cottage, and takes off for a region of South America he had always wanted to visit with his wife. Adventures ensue, featuring a young Wilderness Explorer who accidentally gets pulled into the man's journey, several talking dogs and an endangered bird. Makhijani's next adventure is more defined: she is heading out to medical school at Stanford. You can learn more about her here. We are very excited to see that Jacobs School Ph.D. student Stephen Foster quoted in an opinion piece in The New York Times about getting girls interested in programming. "ThoughtSTEM is a proud supporter of getting more girls and women into computing," Esper said. "With a majority of female co-founders, we are so excited to be featured as a company making headway, not just in computer science education, but in engaging a more diverse group with curriculum and programs that attract students of all kinds."